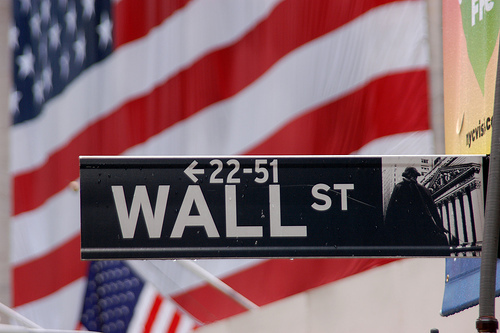 Despite deep partisan divide, President Barack Obama recently signed into law the Dodd-Frank Wall Street Corporate Reform and Consumer Protection Act. The law is meant to address a number of the dilemmas caused by financial institutions that resulted largely in one of the worst economic downturns since the Great Depression. Many of the changes addressed in the bill are aimed at the shortcomings of big banks and credit card companies. While many of the provisions created were fashioned in a way to protect financial institutions from themselves, a lot of the changes from the bill will filter down to consumers like you and me. Here’s just a sampling of the changes that are now in effect. This was widely expected. Up until the financial meltdown last year, the cap of insurance provided by the FDIC was at $100,000. After Goldman Sachs collapsed, the government temporarily raised the limit to $250,000 and that limit was set to expire in 2013. Now, the Dodd-Frank law takes the future expiration possibility out of the realm of possibility by making this increase permanent. How many times have you picked up the business section of the newspaper and read about some executive earning a salary of tens of millions of dollars or, better yet, pocketing millions of dollars more for just being asked to step down from their post? If you’re one of the thousands of people who get more than a little irritated reading this, the best news of all from the Dodd-Frank law may be that now you can have a say in how much top executives are compensated. Going forward, shareholders will receive a non-binding vote on both compensation packages and executive pay. Anybody who’s signed for a mortgage knows that the mountain of paperwork that the lending company’s attorneys and representatives want you to sign can be almost blinding. And who reads all of them anyway? The Dodd-Frank law is aiming to push mortgage lenders and credit card companies to present the terms of their offers in simple easy-to-understand language. In what form this ends up in remains to be seen but companies will be pushed to avoid the legalese and fine print that has caused so many issues in the past. But what happens if you feel you’ve been tricked or cheated by your financial institution? The Dodd-Frank bill will create the Consumer Finance Protection Bureau whose single goal will be to protect consumers from any traps that might result from an interaction with any type of financial institution – banks, credit card companies, mortgage lenders or payday loan stores. Politicians and voters alike will likely dispute if this version of Wall Street reform is the best version but all of these changes will be good news for the standard consumer. And any changes implemented or lessons learned as a result of the Great Recession will be welcome news indeed! Credit Card and Mortgage Terms in language you can understand. You mean like the Truth in Lending one page statement that was handed to every one of these poor duped potential homeowners who rolled all their debt into a one or two year arm with interest only payments. You have got to be kidding me. all this will do is cost honest hard working people more in fees and regulatory mandates. CFPB – aka another beauracracy that will increase the national debt and provide new clueless regulators which 20 years from now our illustrious legislators will lambast for failing to prevent the fill-in-the-blank (S&L, CDS, etc..) financial meltdown. Get a clue, the bankers throughout history have always won. They will find new ways around the misguided regulation because they have the MONEY! And can hire the smartest people. Are you looking forward to new monthly fees on your free checking account? How is that new annual fee on your low rate credit card working out?